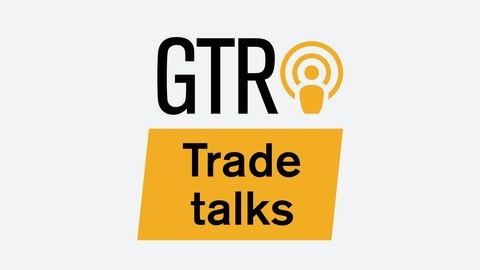 Welcome to GTR Trade Talks, the official Global Trade Review podcast channel. GTR brings you the best in trade, export, commodity and supply chain finance content, GTR Trade Talks features highlighted discussions and insights from a selected number of GTR's 20+ international events. 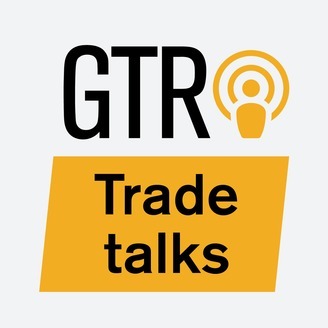 Each episode of GTR Trade Talks will treat you to in-depth conversations with leaders of the industry Established in 2002 and with offices in London and Singapore, GTR is the world’s leading trade and trade finance media company, offering a one-stop shop for information, news, events and services for companies and individuals involved in global trade. If you'd like to be kept up to date with GTR’s daily news and industry events, sign up for our free eNews newsletters at www.gtreview.com/register/ Email us at tradetalks@gtreview.com. 10: Is trade still a force for good? Bringing you the best in trade and export content, with highlighted discussions and insights from GTR Africa 2019 in Cape Town, South Africa on March 14-15. If you missed the event or are looking to be involved next year be sure to visit www.gtreview/events for more information - dates for 2020’s event will be available soon! 8: Economist debate: Global trade war - how bad can it really be? 7: Do ICOs provide a potential new source of finance or reason for caution? 6: Is the future of the global digital economy under threat?